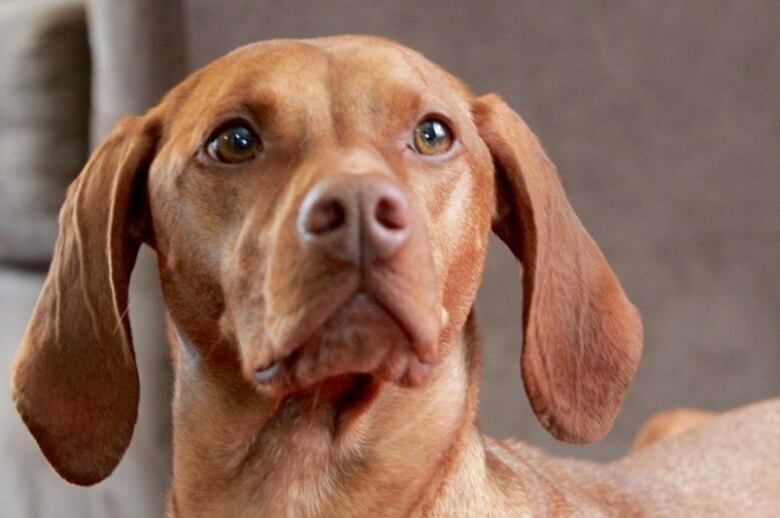 A four-year-old Hungarian Vizsla had to undergo surgery and is now on the mend after swallowing a fish hook at the Samuel Wilmot Nature Area in Newcastle last Saturday. 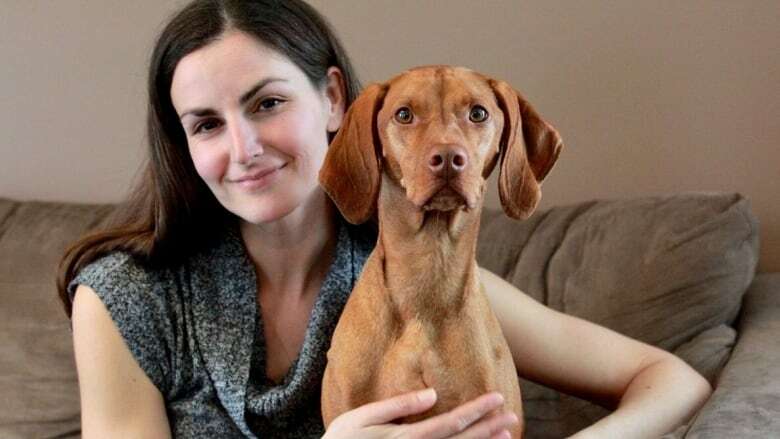 Last weekend, Sabrina Byrnes and her husband were taking their dog Hannah to its favourite place for a walk when the couple noticed something fishy: a length of metal wire dangling from the dog's mouth. The pair did what they could to remove the wire. They even enlisted the help of passersby in an attempt to pull it from the four-year-old Hungarian Vizsla's mouth. Worried they would only make the situation worse for Hannah, the couple decided to take her to an emergency veterinary clinic in Durham. Things didn't look good. A vet performed an X-ray and discovered Hannah had swallowed a fish hook. "It was in her stomach and the line was still attached," Byrnes told CBC Toronto. Hannah needed a $3,400 surgery to have it removed. The incident occurred on Saturday at Samuel Wilmot Nature Area in Newcastle. But Byrnes and her husband, Dan Saltzman, were still shaken this week. "We had never been through anything like that with her before. It was very overwhelming. I cried frequently throughout the day when we didn't know what was going on," she said. "It just happened so fast. And I was just really angry because it was something so preventable." 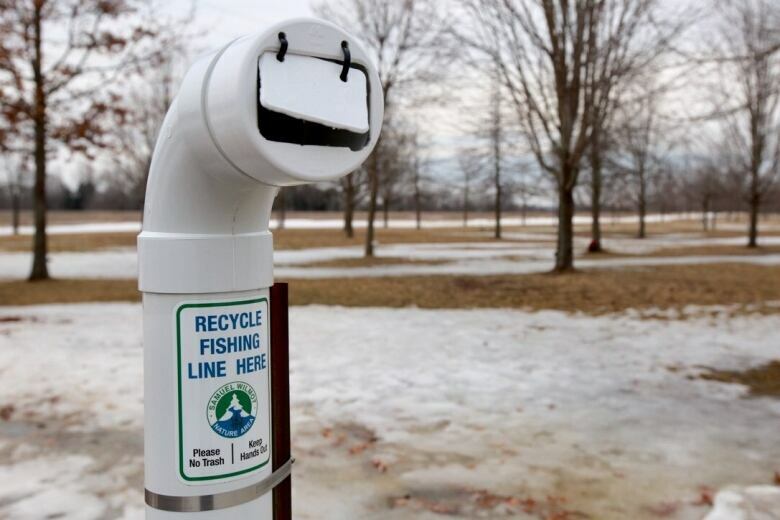 The park has receptacles specifically designed for fishing line along the trails and in the parking lot. "They just had to walk across the parking lot and dispose of it." Byrnes shared her experience on Facebook and heard from several people who told similar stories. "It's just a matter of people being negligent, or maybe they're not aware of the harm that they can cause," she said. Byrnes wants dog owners to be aware of the dangers that fishing hooks and line can pose to their pets, and for fishermen to be more responsible. She said she hopes it never happens to anyone else. Rick Portiss is a senior manager with the Toronto and Region Conservation Authority. He says the organization encourages anglers to clean up their fishing areas and recycle their lines, especially when receptacles are easily accessible. "Various companies actually have these depots that they will donate to areas where there's a lot of angling going on, specifically conservation areas," he told CBC Toronto. "The fishing line can be placed in these receptacles and then eventually the companies will come back and take those away and recycle the line." Receptacles are also provided by angling clubs that have volunteers empty and maintain them, he said. "I would hope that anglers would be good stewards of their sport, and we promote good stewardship by disposing their line in these receptacles. Littering reflects badly on all the anglers and in some cases it may impact the public support for angling," Portiss said. "We got really lucky, because if it had got stuck in her throat, it could have been a whole other ball game," said Byrnes. Luckily for the couple, Hannah is on the mend. She had a check-up on Tuesday and is almost "back to her old self again," she added.